The Virtual Tour is an incredible showcase of your business at 360° visible everywhere in the world 24 hours a day 365 days per year! 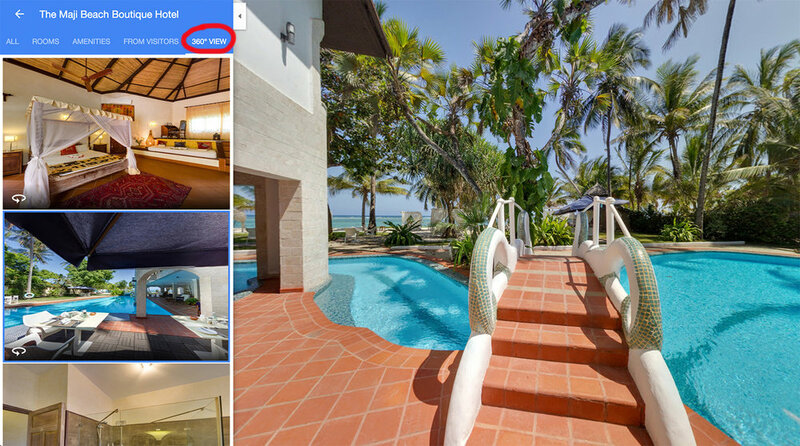 THE VIRTUAL TOUR QUICKLY INCREASES the VISIBILITY of your business oN GOOGLE RESEARCH AND SHOWS your LOCATIONS IN SUCH A CAPTIVATING WAY that people will book to come in person! Once it has been published on Google it remains forever for free and you can easily embed it in your web site, Facebook page and print the QR code in your brochures. You can even choose your favorite point of view and get the link from Google Maps to share with your clients or create an ad on your social networks. ATTRACT MORE CUSTOMERS IMMEDIATELY AND GET MORE BOOKINGS! Thank you! You will receive soon the info requested. Nowadays it's all about the online presence, to showcase your business on Google is fundamental otherwise you don't exist in this world. 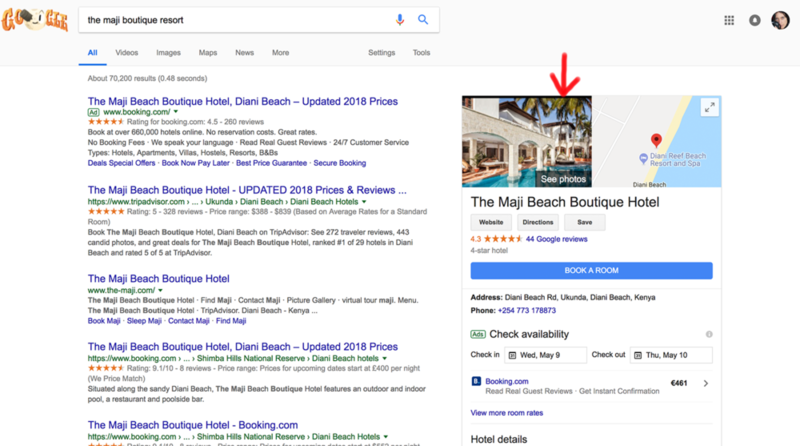 Google My Business, which is your free Google listing, appears right when people search for your business or businesses like yours on Google Search or Maps. That means its content is very important. Updated information, captivating pictures, posts and high quality 360° views of your location give you huge visibility and get at least 60% more interest and a high percentage of booking or purchase. 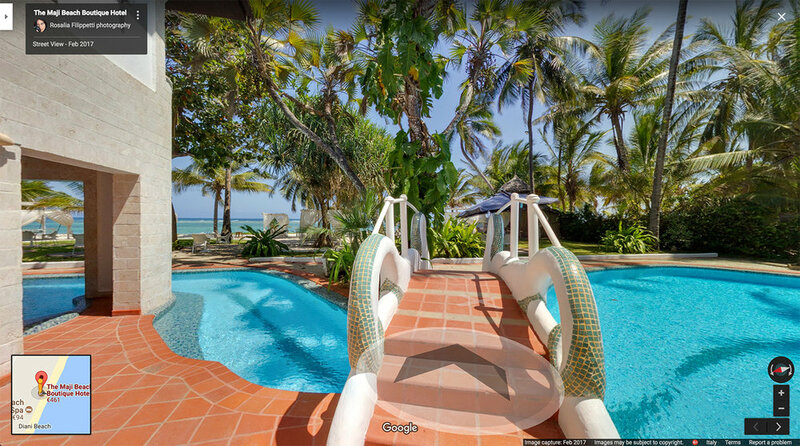 ﻿It's been several years that Google Street View is mapping all the world with the 360° images of the roads, the tourist sites and few years later even the businesses interiors. I was one of the first Google Trusted Photographer in Italy in 2012 and since then I've been realized and published hundreds of virtual tours and pictures inside many beautiful locations around world, mostly in Italy and Kenya. 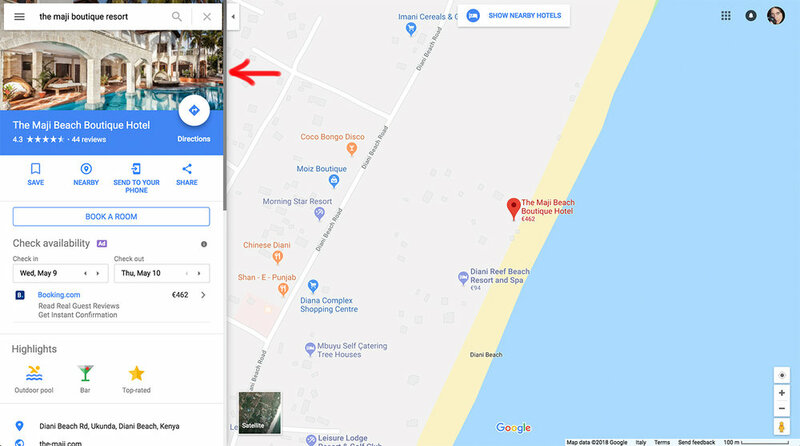 Search for the business name on Google Web or Google Maps or, if you are browsing the Maps looking for an Hotel click on the drop of the location you choose; then click on the Photo and search for the 360 view. There you find all the panoramic pictures, drag the image to turn at 360° and click on the arrows to walk in the area. Creation of Google My Business page of your Business or optimization of the existing one. Realization of the 360° virtual tour after checking the setting up and the best light in the areas. I can give you suggestion to prepare the locations if needed. Realization of the professional photoshooting, when requested (5 pictures are complimentary with a virtual tour). Editing of the images (I shoot exclusively with RAW files and HDR technique to get high quality outcome and the best view from the window), then mounting of the panoramic files and publishing on Google. Delivery of high resolution files (for the stills) and html codes to embed the virtual tour in your web site. Tips on managing the Google My Business page and the virtual tour.